Express appreciation- Everyone wants to be appreciated-teachers included. Look for a way early on to express your gratitude for the teacher’s hard work and dedication in the classroom. Even if you have areas of concern, begin with the positive and set a positive tone. Determine the regular routines for communication and stay engaged-Does work go home once weekly or daily? How often should you check agendas, backpacks, special folders? Is there a weekly newsletter that you can read to stay abreast of classroom activities? Be proactive and don’t wait for there to be a problem to get involved. Determine the time frames that teachers are available and respect them– Do they prefer a note? an email? When is it too late to call? We all have busy, complicated lives that involve juggling many roles and teachers need time with their families away from the demands of work. Be authentic–Let teachers know about changes and challenges that your child may be facing. Is the family going through a stressful time at home? Have they been sick? Are they on medication that might affect their performance? Any of these things can impact a child’s ability to focus and excel in the classroom. The more the teacher knows about your particular child, the better the chance they will connect in a positive way. Be open to suggestions– Even if it is a new way of doing things, listen when teachers suggest alternative ways of teaching a child new concepts. What may have worked well previously may not be the best approach as your child develops and changes. You don’t have to follow every suggestion but honor the request with your attention. Share your expertise and insight-As a parent, you are the expert on your child. You know their history, their abilities and their quirks. Share what you know so teachers can teach to their strengths. Encourage and empower your child to be an effective communicator and leader-While it’s important for you as the parent to stay involved with your child’s teacher, it’s equally important for your child to learn what they are responsible for and how to communicate their needs. Communicating with the teacher doesn’t mean taking over your child’s responsibilities or solving all their problems for them. Instead, model for them how to be a leader and problem solver in their own life. As it is age appropriate, transfer that responsibility for effective communication to them. After all it is their academic success and only they can achieve it. It’s not easy being the new kid at school, especially if you are a cat and everyone else is a dog. How do you make friends? Can you even be friends with someone who is totally different from you? 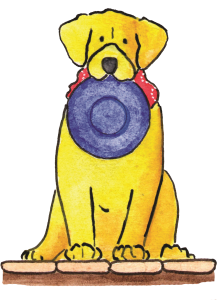 Wyatt the Wonder Dog helps solve Ami’s friendship problem with empathy and compassion. A great story for teaching children the critical life skill of making friends.